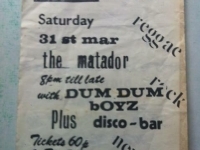 The Dum Dum Boys first gig was organised by The Socialist Workers Party under the alias “The Rebel Social”. 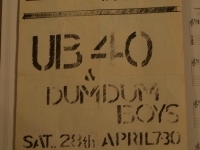 The gig was the first appearance of The Beat, who were first on the bill. 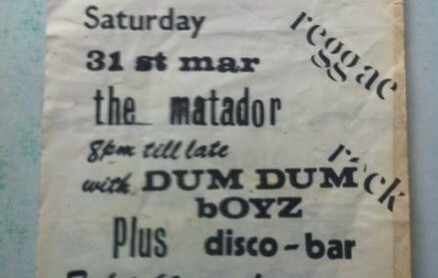 Rankin Roger was the drummer with The Dum Dum Boys, but eventually made his musical career with The Beat. 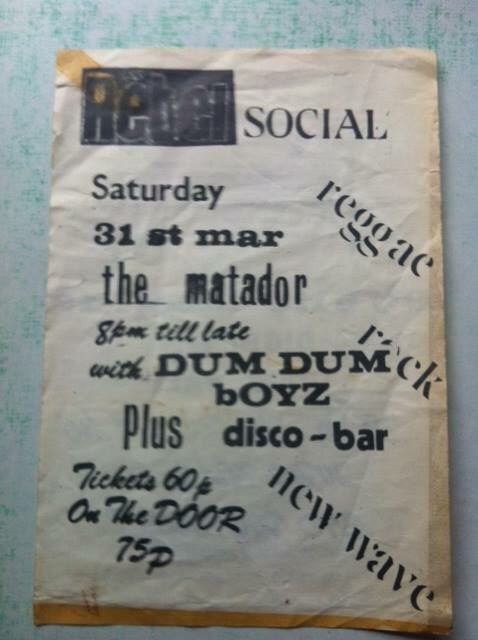 This poster is from a Rock Against Racism gig at Underworld, which was to the rear of Digbeth Civic Hall. 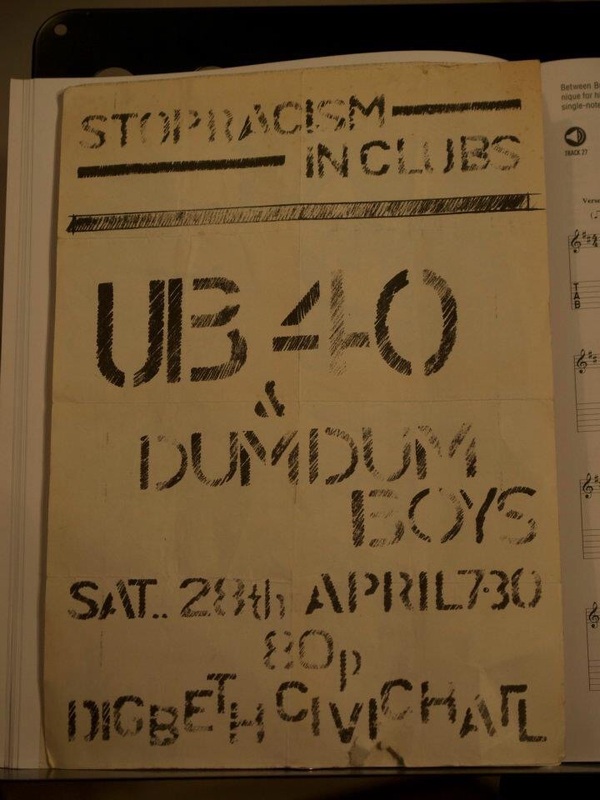 After the gig there was a march to protest at Pollyana’s night club’s racist door policy.